Obama to Iran: If you LIKE your Nuclear Program, You can KEEP your Nuclear Program—NO PERIOD! The BIG unknown question of this historical day was brought up by ‘President’ Obama, who said he did not even watch Netanyahu’s speech to Congress today, and his question was: Well, he didn’t say what he would do about Iran, nothing new here. Where was Netanyahu’s solution? Evidently, you have to wonder if Obama was reading old Hillary state department emails by mistake, because the REST of us heard the plan: Don’t do this deal with Iran, because you will be giving them the capacity to develop nukes, which put the whole world in danger. AND Israel will protect itself from its own extinction. That’s a plan if I ever heard one. By the way, what’s Obama’s plan? Is he going to send Beyoncé to sing to the Jihadist? While the world stood in awe at finally seeing a real leader come to America to try to educate us as to what was happening, all the time WISHING that we had a President like that, we also watched Nancy Pelosi –who was sitting there listening to Bibi, and she had tears in her eyes. TEARS. Not of joy like the rest of us upon hearing a man who finally speaks the truth, but she was upset that a Jew could insult her so badly. Her ridiculous and obnoxious behavior alone brought more than tears to the rest of the world knowing how dangerously close we are to repeating history. Yes, –on the floor of Congress today, Nancy Pelosi, the butcher of our American Healthcare system, was brought to tears by a descendant of Moses. It was one of the highlights of the day. Nobody Knows how ridiculous Obama looked today to the rest of the world, but on a scale from 1 to 10, I’d say about 200. And speaking of scales…Hillary is getting heavier, have you noticed? Stress? Nobody has known just how much FURTHER the corruption of the Clintons can go….but we found out today that Hillary had no intention whatsoever of getting caught pilfering the American taxpayers and other countries out of money for herself, because she made sure her emails couldn’t be found when she was Secretary of State. First Clinton rule: Do NOT leave a paper trail, or any other kind of trail. That’s illegal of course, but remember, Hillary is an old pro at shredding evidence. She’s almost made a career of it. Just ask Vince Foster….wait. We can’t. He’s dead. And Hillary cleaned out his trash can a few minutes after he committed, “suicide.” Nobody Knows WHY she did that, because she never told us. Will Hillary get prosecuted for breaking the law like General Petraeus did today? After all, all he did was show some stuff to his lover. Hillary on the other hand, was committing high crimes for opening her private emails to hackers…which is how we all found out about it. A famous hacker, hacked her emails. Ha ha ha! Will this scandal stop her from running for President? Nobody Knows. But if you take a bet, you can bet that it will mean Hillary will just say, “Hey! I turned them all in!” end of story. I believe Susan Rice said something to that order recently about Obama’s relationship with Israel. America will always stand with Israel PERIOD! Warning: Whenever they end their statements with the word PERIOD—-Then you know, it’s a lie. If you like your nuclear program, you can KEEP your nuclear program. NO PERIOD. 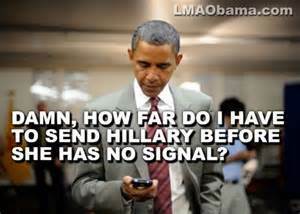 Obama doesn’t have to say that to Iran…it’s all in the power of his little pen and phone. In the meantime, NOBODY KNOWS how these people came to live in America, but I’d say they are the real reason, Netanyahu is needed now, more than ever. Nobody Knows how they got this stupid, but Nobody can make a bet, they all live in Nancy Pelosi’s district of San Diego! Enjoy! There will be no periods. Nobody Knows If We Are At War……Let’s ask ISIS. It’s another week of total confusion: First—we are going to war, then, no, we are only doing counter terrorists strikes. Then Obama says it’s a war, but no boots on the ground, then maybe boots on the ground. Obama can’t be seen going to war, and Glenn Beck says this is all about going to war in Syria, but then, elections are coming up in two months, so what can Obama do to make it look to the voters that he’s not dragging us back to war? WASHINGTON — Under pressure to do more to confront the Ebola outbreak sweeping across West Africa, President Obama on Tuesday is to announce an expansion of military and medical resources to combat the spread of the deadly virus, administration officials said. The American government will also provide 400,000 Ebola home health and treatment kits to Liberia, as well as tens of thousands of kits intended to test whether people have the disease That is worrisome, Dr. Osterholm said, because it is difficult to care for Ebola patients without becoming infected, and there is no proof that the kits will work. 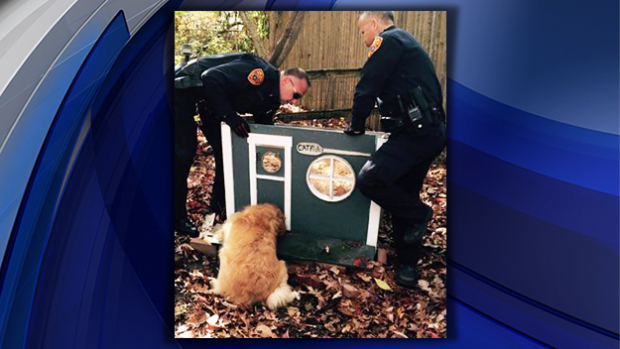 “We are going to endanger family members more by providing the kits,” he said. AMAZING! Obama can send help half way around the world, set up the most efficient healthcare system seen anywhere on the earth, in fact, put our own men and women in harm’s way of death just to treat the people of Africa, (sending loaded guns just in case that virus comes at them with a deadly sword) but he can’t send more troops to Iraq to save people from getting their heads cut off. Not to mention, did our dying veterans in THIS country get the help they were promised? 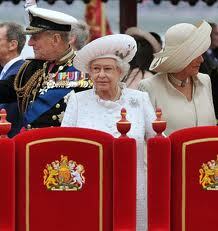 And speaking of something that Nobody knows about: Will Scotland claim her independence this week? There are yeas and nays on both sides aren’t there? On the one hand, if Scotland leaves, Britain will be downsized, and Sean Connery will no longer be welcomed by the Queen. Somehow, I bet the vote comes down to just a few votes, in the Queen’s favor. 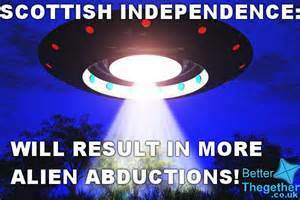 You can’t tell me the rich in Scotland will sit by and let this happen. There are CASTLES at stake maaaan! I suppose Scotland leaving England would be much like California leaving the United States. Personally, I like my mother’s idea. (Bless here soul: may she be NOT watching TV in heaven) Give California and New York to the liberals, let them break off from the rest of the country….we’d have the food basket. If California wanted our soybeans and corn, we could trade for some of their fruit. We could give Chicago back to the Indians. Wait! The fate of humanity? 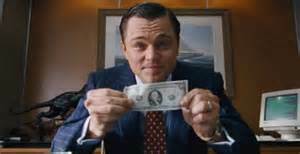 LEO..that’s Nancy Pelosi’s line! 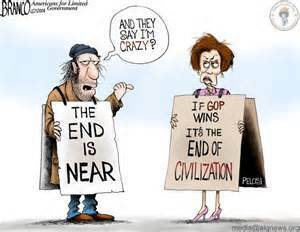 Nancy Pelosi said the fate of humanity depends on whether the democrats can hold the Senate! What is Leonardo is going to do if the republicans take control of the Senate? Will he be peaceful? Will he be full of peace and love and all good things? Is he going to tell us not to eat meat on Mondays? Will he get his picture taken with Nancy riding down Wall Street in the back of her limo? But, that’s not the biggest question of the week. The BIGGEST question on my mind was WHO put the horns on Obama’s photo-op out of the White House last week, while he was announcing sending ‘advisors’ to Iraq? Was it a liberal camera man who was secretly mad about it? 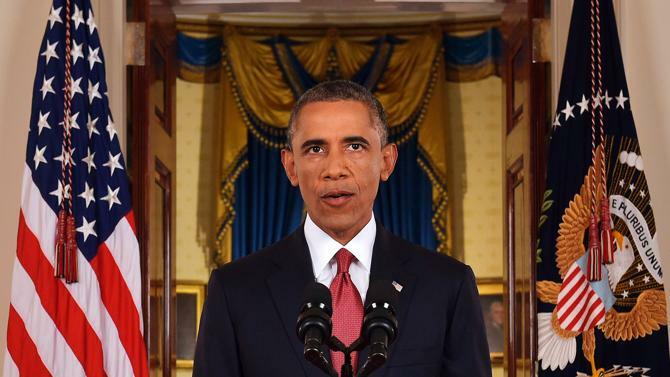 OR…is Obama claiming his REAL throne? And will he be at the Satan Fest next week? Nobody knows…but we do know one thing…he’s there in spirit. Seize the ignorant per diem! “You will have to take that hamburger out of my cold, dead, hands, Leo. The “Baby Jesus was a refugee” didn’t convince anybody, so Nancy keeps going. Does she even know that MOSES was a slave? So, if it was good enough for the Pharaoh who needed slave labor to build his pyramids in Egypt to accept Moses’ family, by Nancy’s reasoning, the political Pharaohs in D.C. should accept this mass slave labor invasion because— why? Someday they will write the NEXT religion with the NEXT Ten commandments? Like Commandment No One: Thou Shalt feed us forever? Can she get any more wacko? Obviously, she wants that immigration money for the next elections. Nancy…get a grip. Tell the truth. If Baby Jesus OR Moses had come into your district, they would have been aborted. Nobody Cares about Nancy’s delusions anymore, if you read the comments on the blogs….which is also another good laugh. Nobody Cares that O.J. Simpson got caught stealing oatmeal cookies while serving his sentence for armed robbery, but finally—-, SOMEBODY in the Catholic church cared that Nancy Pelosi should be denied Communion, for being such a ‘sinner.’ Nobody Thinks that she should be excommunicated from the Catholic church, but that’s me. 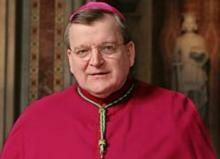 Yes, the good Cardinal Burke (who was from St. Louis) has reprimanded Nancy’s hypocrisy, being as she is one of the biggest proponents of abortion in the country. Typical. When a liberal doesn’t want to answer a question: they just don’t. Nobody Cares in the democratic party that Nancy is a hypocrite. She helped passed Obamacare which in fact, will kill provide more abortions because everyone is going to be required to pay for them. But it’s about time the Catholic church cleaned up its act. Now…Mr. 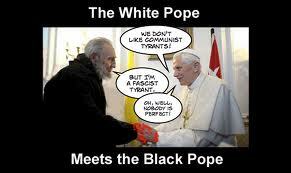 Pope, the balls in your court. 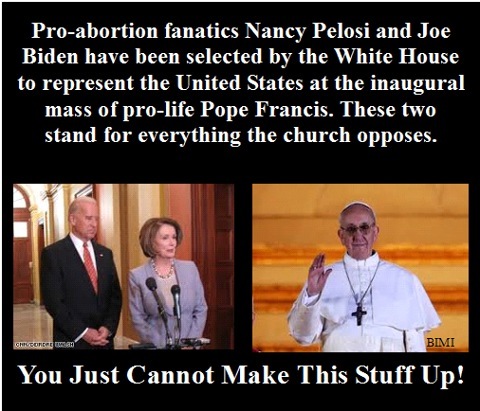 You welcomed Joe Biden and Nancy to your coming out party…are you going to start standing for the Catholic Church’s dogma? Or are you just going to send out your cardinals to do your dirty work? So far…Nobody is quite sure WHAT you believe. 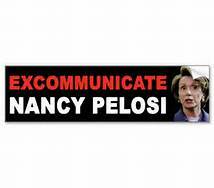 Go ahead and show us your really God’s messenger: excommunicate Nancy. Otherwise, you are just another puppet for the rich. I love it when the “nobodies” of the world tell our ‘elected’ officials what they really think, and I love it when somebody actually gets it on the web. I find it interesting that you and your husband are multi-millionaires with much of your fortune being made as a result of your public service. You have controlled legislation that has enhanced your husbands investments both on and off shore. At the same time you redistributed the wealth of others. 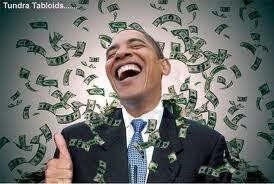 Our system of a free market economy is being destroyed by the likes of you, Harry Reid, and now our President. You ride around in a Gulfstream airplane at the tax payers expense while criticizing the presidents of companies who produced something for the economy. You add nothing to the economy of the United States ; you only subtract therefrom. disgrace to most of the people who served this country by offering themselves for public service in the United States Congress. I feel certain your aides will not share this letter with you, but I intend to share it with many..
Nobody’s Email: A Fine Joke to Tell At the Pub on St. Patty’s Day! 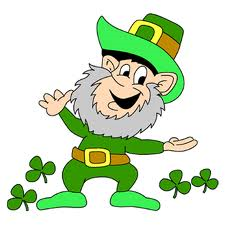 Ah…it’s a wee bit o’ Irish luck I had to day, to geet a feeen joke about that blarney of a tooter, Nancy Pelosi on St. Patty’s Day! Remember lads and lasses to drive carefully on this lovely Irish spring of a day, and drink a toast to al’ de nobodies in the world, and be sure and tel ya local libby this heree joke for to tell at da pub! Last Saturday afternoon, in Washington, D.C, an aide to the former House Speaker Nancy Pelosi visited the Bishop of the Catholic cathedral in D.C. 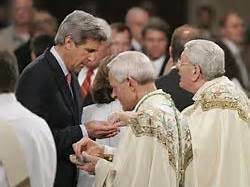 He told the Cardinal that Nancy Pelosi would be attending the next day’s Mass, and he asked if the Cardinal would kindly point out Pelosi to the congregation and say a few words that would include calling Pelosi a saint. This week Nobody takes notice of the ‘perfect’ letter. This was written by Marine Corporal Joshua Boston. BRAVO! It makes an American heart feel good, especially after watching comrade Nancy Pelosi today, giving her big speech on the floor of the house, go on and on about “protecting the people.”…liar that she is. It’s men like this Marine that should be running our country. 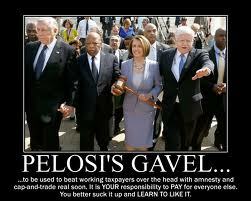 Nancy Pelosi Forgets…Her BIG Gavel. Remember, in my last post I was talking about the people who just NEVER seem to go away? 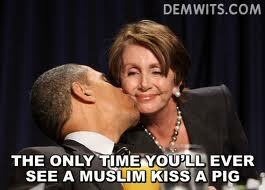 Well…Nancy Pelosi makes another great “gaff” in the history of stupid poltical statements. Really, she’s has GOT to stop spending weekends with Joe. Someone suggested that humans are just too ignorant to control anything…in the end, it’s who you know I guess, and if you know the right person, then you get the job. So, Nobody Asks: Was it just a random fluke that Nancy Pelosi is STILL in the Congress and is now surrounding herself with a bunch of …dimwitted ninny’s to run the country? Were these women voted in? Did a nation of ninny’s vote in a rather clueless woman leader in Australia? What’s with all these women? The worst of this video was cut out. Everyone is laughing at the fact that Nancy, in her own mind, STILL believes that she is the leader of the house, and after the REAL leader of the house making the comment that the tea party is dead, ( GOP John Beohner) I think she is right. But..then watch…Nancy giggles like a little girl…and comes out of it with the ‘unity’ nonsense. It’s what she said BEFORE that little giggle that was annoying. Pelosi touted the diversity of the new caucus, which grew to nearly 200 Democrats after last Tuesday’s election, boasting that it was the first caucus “in the history of civilized government to have a majority of women and minorities.” The party caucus in 2013, she said, would have 61 women, 26 Hispanics, 11 Asians, and five gay, one bisexual and 43 black members. Nobody Thinks that this ‘majority of women and minorities” is a direct hint at the ‘diversity’ bar that you…dirty, corrupt, white, and conservative man and woman, have to take heed to. Be forewarned: You may be the majority in numbers…but you are not represented anymore. They…don’t…like you. Like the REAL gavel holder John Boehner, Nancy thinks the tea party is …gone. Somewhere in the halls of one of her many estates is the gavel she carried up the steps of Congress in order to bully the “tea party” people into accepting Obamacare. The tea party is just another name for Americans who do not want the country to change into some kind of fascist dictatorship. Nobody Wonders Why…Why are all these women ‘placed’ in power? And WHY is it again, that a bunch of people who come from so many different languages and cultures and can now rule a country, is a good thing? I have my own Nobody Opinion, but I’d like to hear yours. It’s a full June moon, so I think it’s safe to say that right now, all over Britain, millions of happy campers are trying to remember where they were last night, after celebrating that wonderful day: The Queen’s 60 years on the British throne. 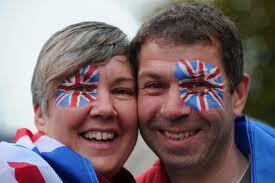 A nation was joyfully all over itself with pomp and glory and flags and fun times, and everyone painting themselves up in the Union Jack. It does a heart good to see a nation celebrating itself. As least that’s how this Nobody is looking at it. Over here in America, our last few July 4th’s, which is when we celebrate our country, has left me more than once, a bit teary-eyed with apprehension. The words come into my mind around the third piccolo solo — “Are we going to make it another decade?” When you have a President who brought us the biggest “change” the country has ever known..for the worst, you do wonder: a man who has divided us all: a man who has knocked America down at every chance he could find–it makes me envy the British people tonight. We could use some of that nationalistic spirit over here. 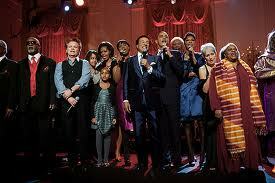 But…Obama’s administration has made it clear…We as a nation are not suppose to celebrate ourselves…Oh no. We are the horrid America. Obama is on a downward spiral…but keeping a his stiff upper chin, with daily lies that keep popping out of his lips like an open popcorn popper with it’s lid off. The lies only get more unbelievable. Yes, we heard all week how Obama has “grown” the economy. Moreover, before Obama there had never been a deficit anywhere near $1 trillion. The highest previously was $458 billion, or less than half a trillion, in 2008. The federal deficit for the last budget adopted by a Republican-controlled Congress was $161 billion. But the budget deficits for Obama’s four years were reported in Obama’s own 2013 budget as $1.413 trillion for 2009, $1.293 trillion for 2010, $1.3 trillion for 2011, and $1.327 trillion for 2012, four years in a row of deficits of $1.3 trillion or more. This is why Rep. Jeb Hensarling (R-TX) told Obama to his face that the annual deficits under the Republicans have become the monthly deficits under the Democrats. President Obama’s own budget released in February shows that as a result federal debt held by the public will double during Obama’s four years as President. That means in just one term President Obama has increased the national debt as much as all prior Presidents, from George Washington to George Bush, combined. Not that anyone is talking about it. Obama, when the time comes, will blame the bad economy on–the fall of Europe, the price of oil, Bain Capital, the Birthers, the Tea Party, wild fires in New Mexico, George W. Bush, dead moon bats in Mississippi, Cheney, George Washington, the ebola virus, Karl Rove, shifting ice poles, the fact that he is “black” and there are too many racists, too many babies being born in Alabama in April, and earthquakes that haven’t even happen yet. In fact, add the whole world and everything that happens in it to that list…he won’t mind. He is NEVER to blame. Families from rich countries could sponsor families from poor ones, Pope Benedict XVI suggested Saturday at a gathering of around 350,000 people at a park just north of Milan. What? That “could” is a bit nebulous. I’ll be %&$*# if I’m going to be forced to “sponsor” some family in some other country…and I won’t be the only American refusing that “role.” Our own government gives billions and billions, and if you add it all up, trillions and gazillions…to “poor” nations. A lot of good it did them. You know, we don’t need the biggest Christian church on the planet acting like Jesus’ real name is Karl Marx . We get enough of that nonsense from Obama. 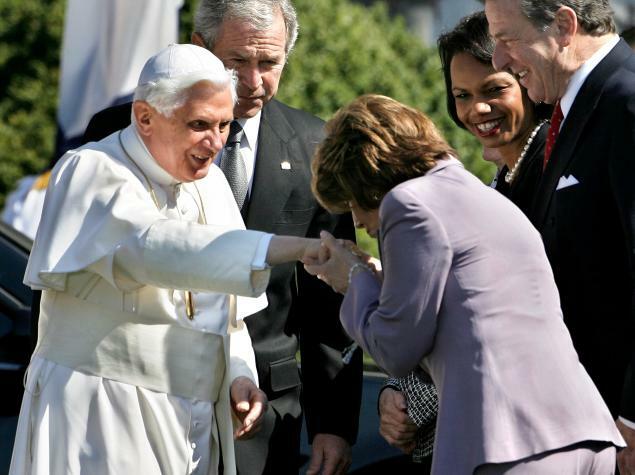 I’ve made fun of the Pope before, right now…I’d better keep my mouth shut. Great. Barcode us. Tell me, are they going to let people who DON’T have a barcode vote? What are we? Sunday Chicken? Baked potatoes? Dollar store tennis shoes? Are they going to put a price on us too? Maybe that’s what Eric Holder would prefer..because he is trying to shut down any attempt in Florida to make people show an identification at the voting booths. Good points from Sowell, but “chutzpah” is rather a nice way to put it. 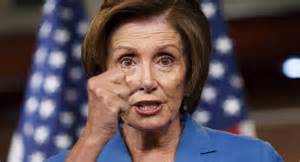 And here’s another full moon comment from a half-wit moon: Nancy Pelosi says she wants Hillary to be President in 2016. “Why wouldn’t she run? 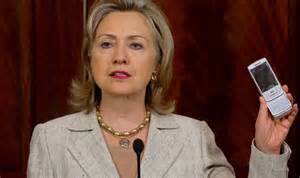 She’s a magnificent secretary of state,” Pelosi said when asked about Clinton’s prospects in 2016. “She’s our shot” that year, Pelosi said. The Queen, I can handle. But the thought of Hillary as President, and Julia still in Australia, is really too much. It would be torture. It would be like the world was in full moon barcode. Wait, I’m being tortured by Obama right this minute. Next blog..I’ll lighten up. I promise. Where’s MY GSA Birthday Present? When it comes to our ‘public servants’ spending taxpayers money, very few can resist, and when it comes to getting their hands on taxpayers cash, it seems our public servants just can’t help themselves. They’ve got to spend it on parties and vacations, and celebrate all their birthdays! When Nancy Pelosi wanted her own private jet to take her back and forth from Washington D.C., to California, every week, stocked with a full liquor cabinet and chocolate covered strawberries, she got it. 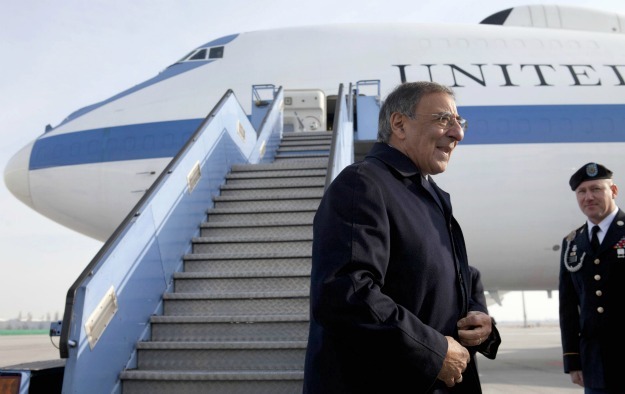 When Leon Panetta wanted to go back to his walnut farm in California every weekend, he costs the taxpayers around $860,000, due to his special needs for a big plane. He said he needed to get back to his walnut farm because it’s important “just to get your mind straight and your perspective straight.” He got it. When the Secret Service had to order up 21 prostitutes for their party in Cartagena, Columbia….they got it. After all, they are probably tired of watching the “President” and his family getting to have all that fun all over the world. Maybe they figured it was their turn to relax. When the GSA was found making a video about their expensive trip to Las Vegas…they got…brought before Congress. What? “WASHINGTON (AP) — General Services Administration witnesses came under sharp criticism from Congress for a second day on Tuesday, as lawmakers expressed outrage over junkets, bonuses and parties paid for by taxpayers. 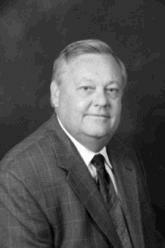 Questioning ranged beyond the $823,000 paid for a Las Vegas conference in October 2010, to a culture of the nation’s government real estate agency playing fast and loose with taxpayer money. Nobody Wants to know: Where’s MY birthday present? Why is the GSA being singled out? Obama and his wife have wasted more of the taxpayer’s money on their own personal pleasure than any past President in American’s history. Aren’t they “public servants”? They even went so far as to give their dog his own private jet. Michelle likes to take her own vacations. …on her own personal plane. With 27 people just to dress her. Can you think of any two public servants who waste more? Now, we remember Hillary going to Africa with Chelsea, and Laura Bush made a few trips of her own, but is this all really necessary? What are we paying the ambassadors for? It’s gotta be good to be a ‘public servant’ these days. If anyone cared to check into the many “vacations” held in Las Vegas and Hawaii for the Post Office employees, or state employees, or for that matter, any bureaucracy in the overstuffed turkey called our government, you would find billions of dollars wasted on parties and vacations,( and big expensive offices) all paid by the taxpayer, many of whom can only dream of going to Hawaii. This is nothing new. What is new is that Congress is looking into it. And Nobody believes that Obama is mad. Obama believes, like most “government servants,” no matter what the cost, they all feel they deserve to party on the taxpayer’s money, because it’s a once in a lifetime piggy bank of free cash that they (and he) would feel stupid not to take advantage of. Is it any wonder they all like to brag about it? The only solution for the nobodies working hard while the govenment employees celebrate their birthdays with thousand dollar lush vacations is: Everybody stop paying taxes.